Where do you go for holiday inspiration? 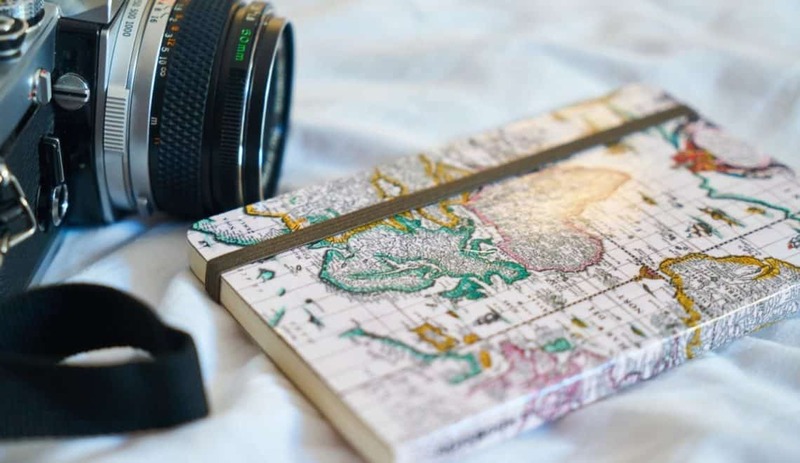 For me, reading blogs is part of my daily travel planning fix. I love getting recommendations on places to go, where to eat and what to see while we’re on our travels from people I relate to. That’s the great thing about the rise of blogging! But with what feels like 20 zillion new blogs popping up every few seconds, how do I know where to start? Here’s five top family travel blogs who I genuinely read a lot and think you’ll enjoy too. All share aspirational family travel and no-nonsense tips for making travel with kids easier. Ting Dalton is an experienced journalist with over 17 years in the publishing industry and she was recently crowned Best Travel Blogger Award at the Brilliance in Blogging Awards 2017. You can follow My Travel Monkey on Facebook, Twitter, Instagram, Pinterest and YouTube. You can follow globetotting on Facebook, Instagram, Twitter, Pinterest and YouTube. After travelling as a couple, Daisy and her husband embarked on their first official family travel adventure when their eldest child was just three months old, and they haven’t looked back! Nearly 10 years after that first trip, and with a few more additions to the Dais Like These family along the way, they still love nothing more than packing up and heading off on a new adventure; from local days out in London and Surrey, to exciting trips further afield such as New York City and Long Island. Daisy is passionate about promoting family travel and through Dais Like These Family Travel Blog she aims to inspire other families to try new destinations with their kids. 2018 is set to be be an amazing year for Daisy and her family, as they plan to head to Ile de Porquerolles in France (an island they fell in love with last year) for a whole month, with their kids attending the local school while they are there. Not only will they be exploring the beautiful island itself, they will spend their weekends discovering the stunning Côte d’Azur and all it has to offer for families. You can follow the Dais Like These family on Twitter, Instagram, Facebook and Pinterest. Karen, her husband and her three girls (aged 7,6,6) travel far and wide, and with 60 flights between them in 2017 they really don’t stand still. An unusual feature of Mini Travellers is the regular guest writers who contribute content throughout the year ensuring that the blog covers trips suitable for all family ages, size and budgets. Facebook and Video is a key focus for Mini Travellers in 2018 and you can find their most recent video of Lapland here. You can follow Mini Travellers on Facebook, Twitter, Instagram, Pinterest and YouTube. Travel Loving Family is a family travel blog which shares travel tips, giveaways, destination guides and reviews from family holidays worldwide. The blog covers all types of family travel from glamping through to cruising. Lisa, Editor of Travel Loving Family, has visited 80+ countries and worked in the travel industry for over 20 years. Job roles include a few years onboard cruise ships as Shore Excursions Manager and Travel Specialist for a luxury tour operator. After living in the USA for five years Lisa has now settled in Gloucestershire with her husband and two sons. They particularly love city breaks, exploring Europe in a motorhome and discovering hidden gems around the world. In addition to running Travel Loving Family, Lisa is the Editor of Trips100, the UK’s leading directory of travel blogs and Co-Editor of Cruising With Kids, a new website designed for parents looking for cruise reviews and advice. You can follow Travel Loving Family on Twitter, Instagram, Facebook and YouTube. If five blogs isn’t enough I’ve got some more recommendations for you in my list of the best UK travel blogs for family holiday inspiration. From where do you get your travel ideas? Main image credit: Natalya Zaritskaya on Unsplash. Ah thanks so much for including me in such fab company! You are most welcome. I’m looking forward to seeing what you get up to this year! !